The Travers & Travers law firm in Katy, Texas, offers unmatched legal counsel and support to those facing tough and emotional legal challenges that affect their families. Staffed by some of the most experienced and talented legal minds in the family law arena, the law firm itself holds an AV Preeminent peer review rating* from Martindale-Hubbell, and each of the firm's founding attorneys has received this rating for their impeccable professionalism and service. In addition, Sherrie Travers is certified by the Texas Board of Legal Specialization as a family law specialist, and Mack Travers has received widespread recognition as one of the top family law attorneys in the state. Working alongside Allison Travers Hamilton and Annie Travers Reed, their attorney-daughters, the Travers have a close, family-oriented practice, so you can expect to be treated with the utmost dignity and respect as they work to help you resolve your conflicts and reach agreements that cater to your needs but protect your rights and best interests as well as those of your children. 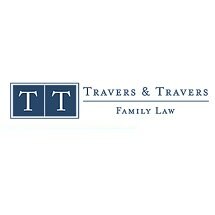 For more information on how Travers & Travers can best serve the needs of you and your family, you can contact their law office to schedule a consultation.